Watch giant pandas having their lunch, catch penguins on parade and even dance alongside colour-changing disco chameleons (!) 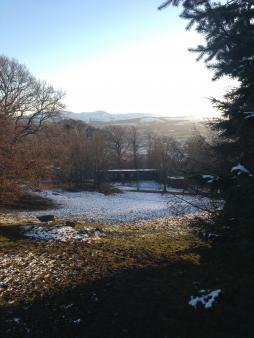 – there's a world of wildlife fun to discover at Edinburgh Zoo in Scotland for primary-school children and their parents. 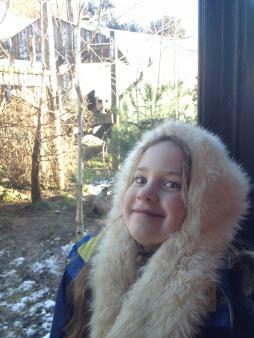 Hetty Walton took her son Tom (11) and daughter Ivy (7) on an illuminating trip to Edinburgh Zoo in Scotland. The daily penguin parade is a must-see for little ones. 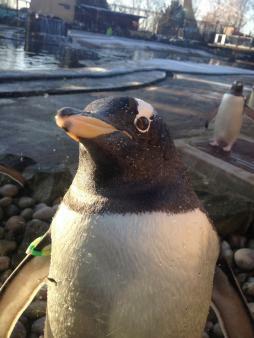 Happening every day at 2.15pm, you can watch a military march of King, Gentoo and Rockhopper penguins waddle their way out of their enclosure following their keeper in a Pied Piper-like fashion, all at perfect toddler-height level. The new Wee Beasties section is also fab for smaller visitors, as it's warm, indoors and dotted with lots of tiny low-down viewing windows. They can find out more about tiny animals like bugs, fish, beetles and crabs – as well as learning how to become a snail superhero! Be warned – the zoo is on a steep hill which means you get great views of the Edinburgh countryside, but it's a long, tough push for a buggy and can easily tire out little legs so pace yourself! This has to be the star attraction: Edinburgh's two giant pandas. Loaned to the zoo in 2011 from China, Ivy was delighted to discover Tian Tian and Yang Guang close to the main entrance in their own covered enclosure. The huge glass walls and raised platforms of the viewing gallery meant it was easy for her to spot all the bamboo-chewing action while being protected from the weather (handy for Scotland in winter). It does get pretty busy in summer though, so make sure you book a 10-minute viewing slot along with your entry ticket. 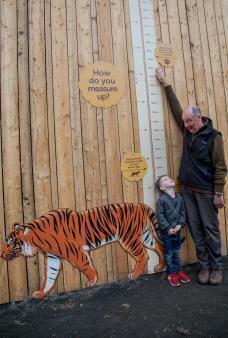 As well as reading all the information boards describing in detail the background to the animals and the zoo's work in helping protect endangered species (from Giant Armadillos to Scottish Wildcats), Tom was a big fan of the Tiger Tracks section – the giant see-through tunnel meant he got so close to the Sumatran tiger he could see the fur pressed against the glass. He also enjoyed the Budongo Trail, the giant indoor and outdoor chimpanzee enclosure. Full of different sections for eating, sleeping and playing, every aspect of their daily behaviour is detailed by the giant plasma screens, viewing galleries and interactive displays. The park runs regular holiday events for kids. When we visited the Giant Lanterns of China event was taking place, an installation of over 450 handcrafted silk lanterns that illuminated the grounds from top to bottom. 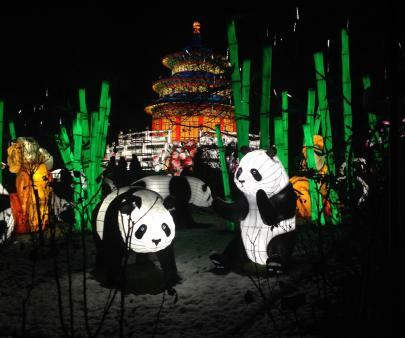 As well as the ever-popular lantern pandas, Tom and Ivy loved the musical colour-changing chameleons and the Chinese acrobats display. There's plenty of choice, from the Grasslands Restaurant, which serves up pasta, pizzas and panini-type fare, to the more basic Jungle Food Court and Penguin Cafe. There are also plenty of ice cream and coffee kiosks dotted around. We went in winter so it would have been a bit bracing sitting outside, but there are plenty of scenically placed picnic tables near play areas and a big covered section of benches around the main lawn in the middle of the site too. A family ticket (2 adults & 2 children) booked online costs £53.50 (on the door £58.50). Under 3s go free. There is a car parking charge of £4 per car. Regular bus services operate to the Zoo from Edinburgh city centre. Lothian Buses 12, 26 and, 31 all stop outside and can be picked up near Haymarket and Waverley Railway Stations or in the city centre. The 100 Airlink Service also stops regularly outside the front entrance and operates between Edinburgh Airport and the City Centre. April - September: 9am - 6pm. October & March: 9am - 5pm. The big gift shop was packed with educational and craft sets and a very big range of cute (and tempting) cuddly toy animals! In the end Tom took a shine to a glass tumbler with a floating tiger in for £5, while Ivy gravitated towards a penguin headband (complete with pom-poms) for £3.50. You can read more about all the conservation projects currently being supported by the zoo and check out their extensive range of educational resources and lesson plans from nursery to secondary school level. There's also a cool interactive map and live panda, penguin, tiger and squirrel monkey cams. The Edinburgh Zoo YouTube channel offers updates on the animals and their daily lives. Learning about life and living things and animals and their classification is part of science lessons in primary school.